The article should be prepared with text processor MS Word 7.0 or later. Accessible file formats are RTF, DOC, DOCX. Article volume should occupy from 4 up to 10 pages. Page format – A4 (210×287). Text parameters: font Times New Roman, font size – 11, red line 0.5 cm, line spacing – 1.5, spacing before and after paragraphs are missing, alignment – on the width of the page, margins: left, right, and top to 25 mm, bottom – 30 mm. List of the references labeled «References». The names of the subsections of the articles must be from a new line (font – bold, centered). Skip a single blank line between the title of section and the previous paragraph. 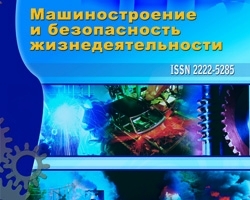 At the end of the article you should to write information about the author: full name; the scientific degree and rank (for example, candidate of physical and mathematical Sciences, associate Professor); information about position, place of work, city, land, contact E-mail address of each author.